Hertz Global Holdings has confirmed that Hertz, Thrifty and Firefly will serve as Air France’s exclusive car rental providers for four years. The news follows the renewal of the 28 year partnership between Hertz and Air France–KLM Group. In addition, the three car rental brands, from The Hertz Corporation, will also become the exclusive car rental providers of the Air France-KLM Group’s regional airline HOP! until the end of 2020. The expanded agreement results in enhanced benefits for both airline’s passengers renting with Hertz, Thrifty and Firefly, including discounts of up to 15 per cent on basic car rental and exclusive products. Air France passengers will also enjoy easy access to a broad range of car rental vehicles from around the world through a newly launched, specially-designed Hertz, Thrifty and Firefly website and via the Air France mobile website and app. The Hertz Corporation’s multi-brand presence on the Air France mobile website and app enables customers to book their flight and car rental at the same time and benefit from an extensive choice of vehicles and products at exclusive rates. Michel Taride, group president, Hertz International, said: “Hertz and Air France have enjoyed a successful partnership for the last 28 years, helping to drive the constant evolution in seamless ‘fly drive’ services to customers. “Today, we are able to offer innovative car rental solutions and specific products to all Air France customers, improving their overall travel experience. 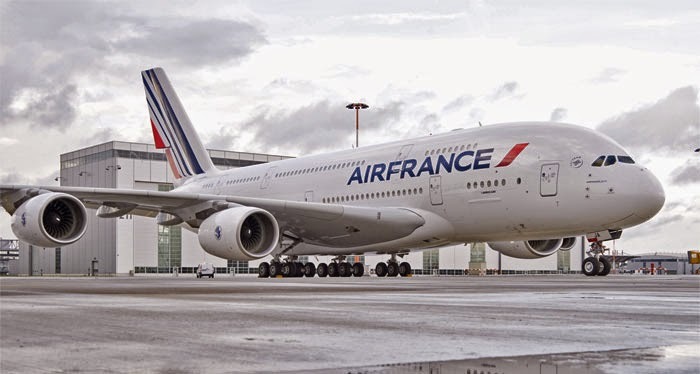 Air France’s La Premiere passengers will be specially met and greeted at the airport arrivals lounge by a Hertz customer service representative and escorted to their rental vehicle at Charles de Gaulle (Paris) and at Schiphol Airport (Amsterdam). Patrick Alexandre, executive vice president, commercial, sales and alliances, Air France-KLM, said: “The signing of this exclusive agreement with The Hertz Corporation reaffirms the commitment of Air France and HOP! to their customers: offering a high-quality travel proposition. “This travel proposition encompasses a number of complementary elements, accessible throughout our network. “One of these key elements is the diversified car rental service we offer our customers through Hertz, Thrifty and Firefly.